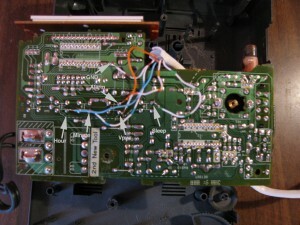 Hey any chance of including a larger picture of the alarm clock circuit board? 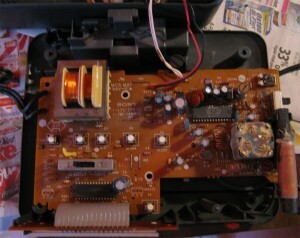 I’ve been trying to see the labels and where the wires attach but the picture is just too small. 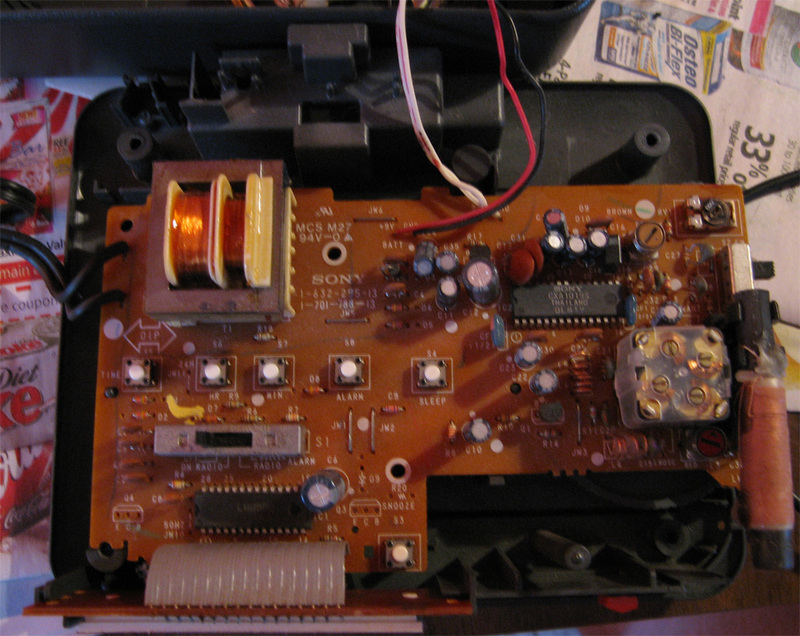 Also, is the hex inverter really a 7805? 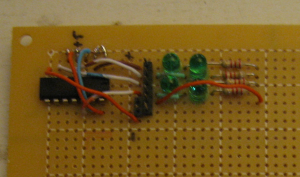 The circuit schematic lists a 7405. I’m assuming that is just a typo? Hey Chris. I fixed the 7405/7805 typo. Thanks for pointing that out. The small images in the post link to larger ones. Is the larger one still too small? 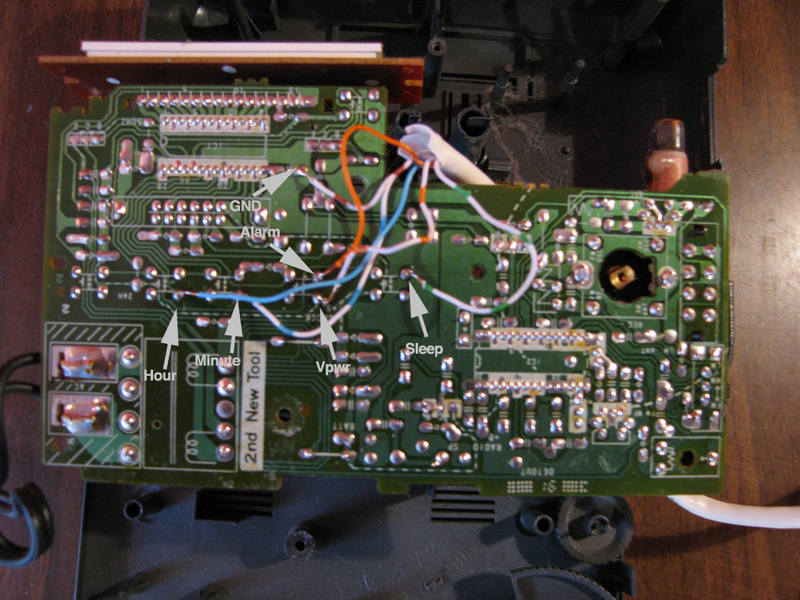 What I did was follow the pin on the LM8560 back to a convenient place to stick a wire. Let me know how your build goes, and if you come up with any cool modifications. I unable to “click” the schematic diagram link… Would you repost the schematics please…? Heri, the schematic link should work again. I have typed a line print ‘test’ after it and I can’t see it on screen. Can you explain me why? What to do to fix it?